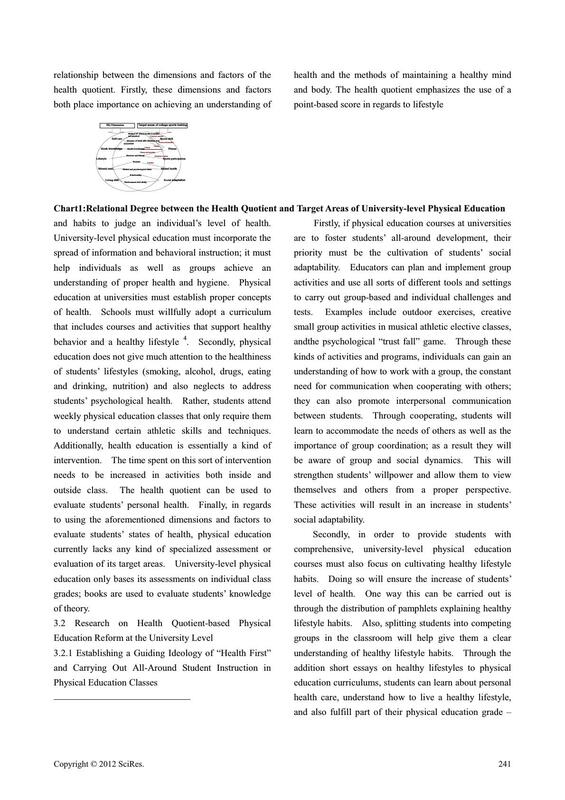 quotient-related theories and techniques; doing so will lay a strong foundation for students’ lifelong physical education. 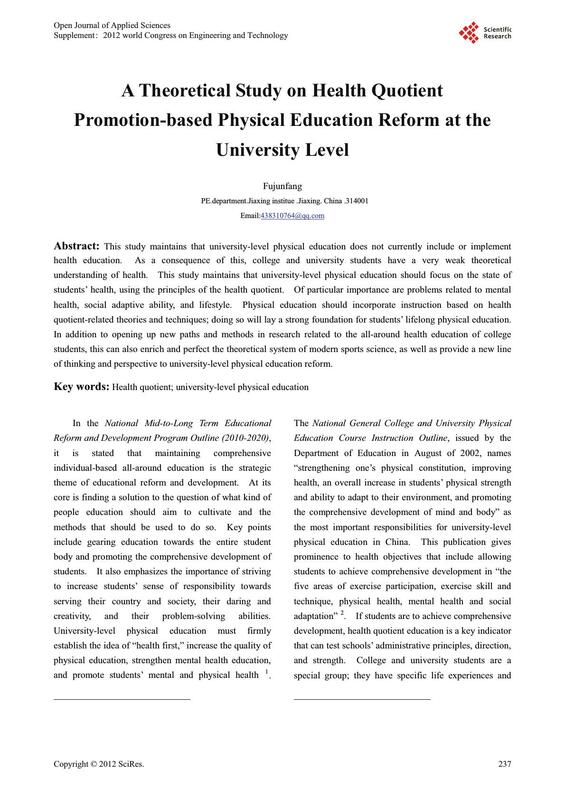 of thinking and perspective to university-level physical education reform. creativity, and their problem-solving abilities. 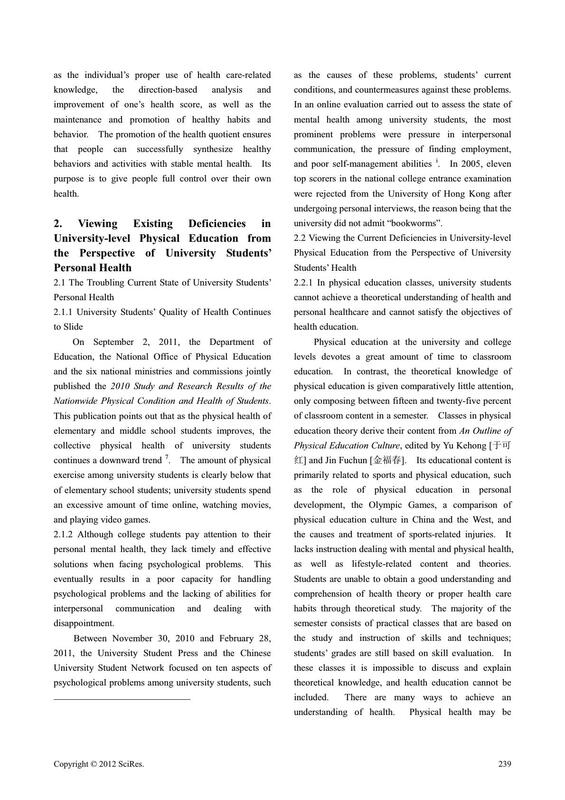 and promote students’ mental and physical health 1.
university-level physical education theory and practice. physiological, psychological and social health. 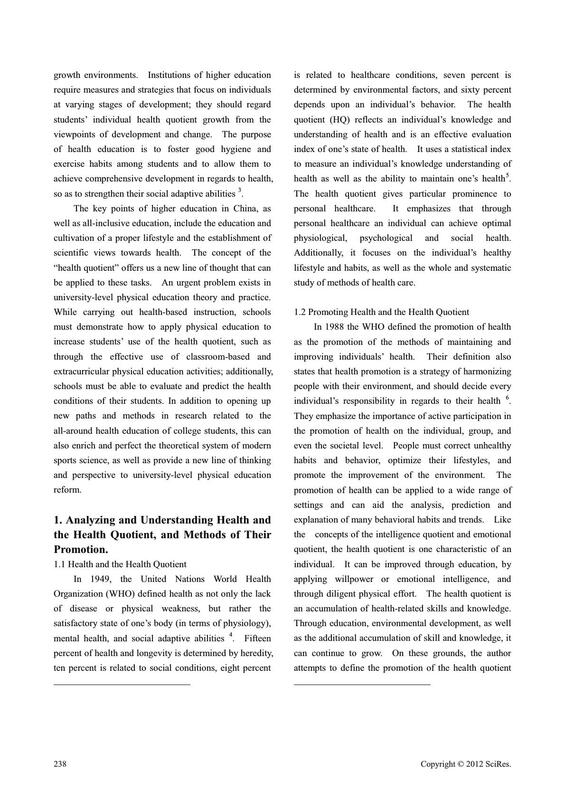 study of methods of health care. 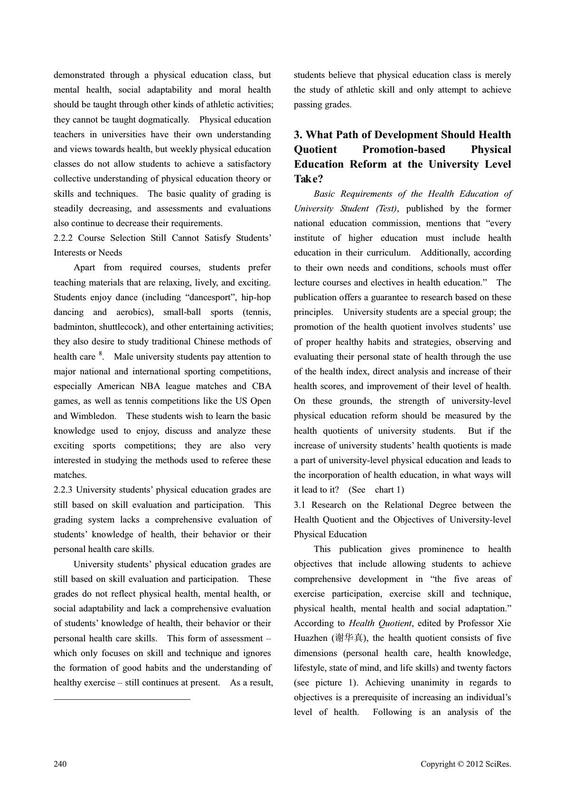 an accumulation of health-related skills and knowledge. 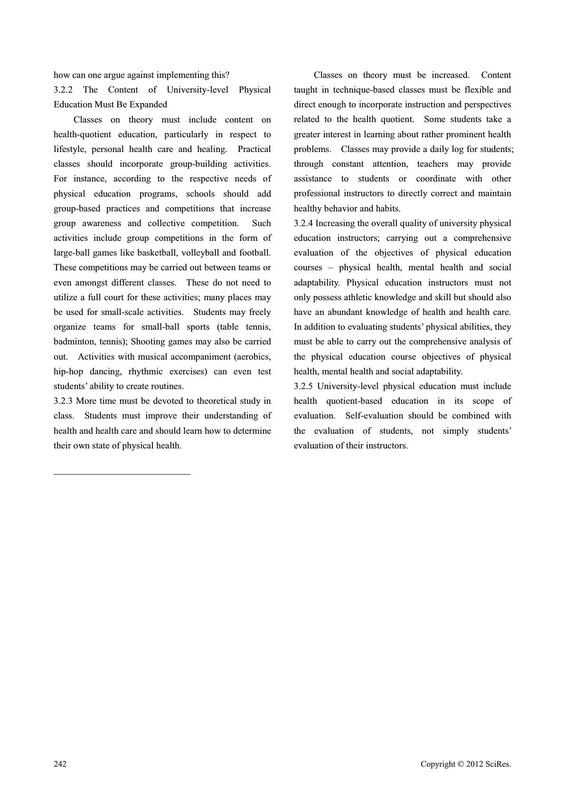 Nationwide Physical Condition and Health of Students. conditions, and countermeasures against these problems. university did not admit “bookworms”. as well as lifestyle-related content and theories. also continue to decrease their requirements. teaching materials that are relaxing, lively, and exciting. health scores, and improvement of their level of health. and habits to judge an individual’s level of health. to understand certain athletic skills and techniques. themselves and others from a proper perspective. how can one argue against implementing this? classes should incorporate group-building activities. large-ball games like basketball, volleyball and football. students’ ability to create routines. their own state of physical health. have an abundant knowledge of healthand health care. health, mental health and social adaptability.